The session at Life Sciences Baltics 2018 organised by BaltCityPrevention discusses how Health IT companies, venture capital and Public Health Authorities can collaborate to overcome these short comings in the pursuit of the Baltic Sea Region as one development site and open market for Health IT products and services. The session will have short pitches from Health IT companies, venture capital and Public Health Authorities followed by a round table discussion with focus on participatory involvement of the audience. In advance of the session the BSR health and life science community will be invited to propose questions online. The best are selected by the session organisers and will be raised by the moderator. Among the confirmed speakers are Dr. Andris Glāzītis, Founder, Telemedica, Latvia and Seppo Makinen, Pathena Investments. Concluding remarks will be delivered by Sami Perälä, South Ostrobothnia Health Technology Development Centre, EPTEK. 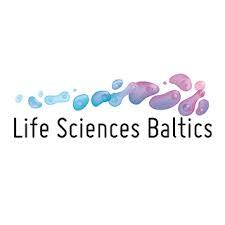 Life Sciences Baltics takes place September 26 – 27 in Vilnius. ScanBalt is a partner of LSB 2018.